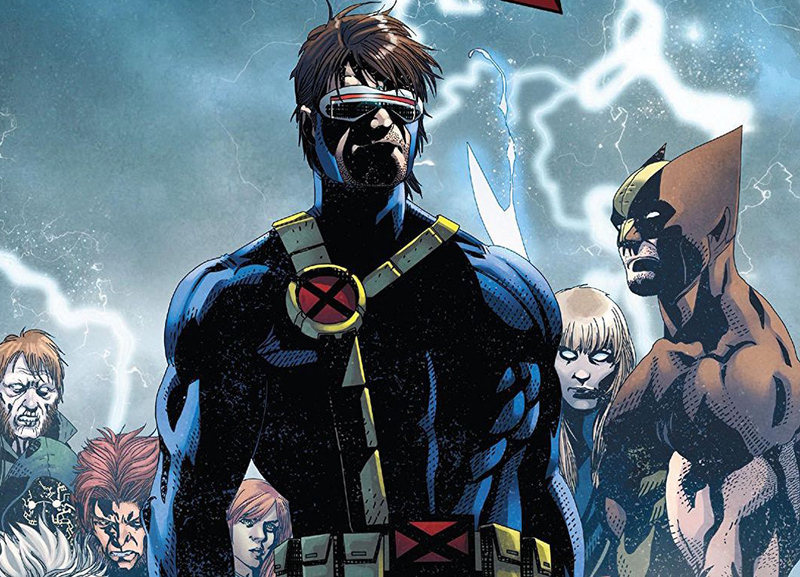 Uncanny X-Men #14 review: Lots of surprises, and a new teammate? – AiPT! Matthew Rosenberg and Salvador Larroca deliver an excellent issue. Sometimes it takes time to find your footing. The past few issues of Uncanny X-Men have been strong releases, but they have just missed that certain something. The stories have been fine and the art has looked good, but they have been missing that X-factor (no pun intended — I think) that pushes books from being merely good to something memorable. Issue #14 corrects that as Matthew Rosenberg and Salvador Larroca deliver an excellent issue. Larroca’s art in this issue may be the best of his Uncanny run so far. It certainly is the best of the “This is Forever” story arc. Larroca has done some great work, but this is the first time the art actually grabs the reader right from the get-go. The opening of the issue is very cinematic, switching between a noir-like chase scene to a well-lit, joke-filled bar. It’s a trick used often in movies: constantly switch between moments of levity and gravity in order to heighten tension. Once the back and forth opening ends, readers see a great entrance by the “spooky kids.” It’s a dramatic scene that makes the book even more engaging. Larroca does this many times over the course of the issue. There are a number of full page shots that show the X-Men in all their heroic glory. Larroca doesn’t just rely on big epic pages, however. There are some great battle sequences and beautiful set pieces that add to the story. The most fun X-Men issues have them travelling to exotic locations to take part in large scale battles, and issue #14 is happy to oblige. Even better, Uncanny X-Men #14 is not one of those comics that is better seen than read. The opening mentioned above is one that will probably be remembered come the end of the year. The constant back and forth keeps readers wondering — we know something is up, but how serious is it? What does it have to do with the X-Men? And speaking of the mutant fugitives, what are they up to? The rest of the issue is just as exciting. Rosenberg has a real feel for the characters and each interaction is fun to watch. What Uncanny #14 really gets across is the tension between the team. This is seen in various moments throughout the book — sometimes it’s a blunt comment from Havok about his older brother. Other times it’s a tense exchange between two people who know they want to use each other. Rosenberg never makes it overpowering, but the uncertainty is definitely there. Nowhere is this more apparent than with Dark Beast. Though last issue’s battle left him a prisoner of the X-Men, he seems to have settled in comfortably. Still (and for obvious reasons), there is tension between Dark Beast and his captors. The conversations also lead to some great moments of humor. Rosenberg does a great job of sprinkling in jokes in the issue. There is less than what is normally seen from the writer, but it also fits the tone of the story. Uncanny X-Men #14 is a great issue of the series. The art looks fantastic and there are some amazing fight scenes. Meanwhile, the scenery, which spans dingy tunnels to snow-filled landscapes, is stunning. The writing also seems to have settled in to a nice groove. Characters and motivations are being spotlighted more while the book retains its humor. It looks like Uncanny’s creative team is about to hit its stride.